Spoment is a global sports, media and entertainment company with offices in Singapore, India and the United Kingdom. Spoment has expertise across sponsorship consulting, celebrity management, sports hospitality, IP creation and new media technology. Launched in early 2007, KyaZoonga is India’s first and largest entertainment and sports ticketing company. Liverpool Football Club is a Premier League football club based in Liverpool, Merseyside, England. The club has won five European Cups, three UEFA Cups, three UEFA Super Cups, 18 League titles, seven FA Cups, a record eight League Cups, and 15 FA Community Shields. Clube Atlético Paranaense is a respected club and one of the finest structures in Brazilian football. Headquartered in the city of Curitiba, in Paraná, Clube Atlético Paranaense was founded on March 26, 1924. The club currently plays in the Brazilian Seria A and has won many trophies both within as well as outside of Brazil. Kerala Blasters Football Club is an Indian professional football team based in Kochi, that competes in the Indian Super League. The team was founded on 27 May 2014 by former Indian cricket captain, Sachin Tendulkar, as one of the initial teams in the Indian Super League. DSK Shivajians Football Club is an Indian football club based in Pune, Maharashtra. DSK Shivajians was founded in 1987 and in 2013 they played their first ever national season in the 2013 I-League 2nd Division. They currently play in the I-League. Atlético de Kolkata (commonly abbreviated as ATK), is an Indian Super League football franchise based in Kolkata, West Bengal. It was established on 7 May 2014 as the first ever Indian Super League team. The team is owned by Kolkata Games and Sports Pvt. Ltd. which consists of Former Indian cricketer and former Indian cricket captain Sourav Ganguly, Spanish La Liga club Atlético Madrid, alongside businessmen Harshavardhan Neotia, Sanjiv Goenka and Utsav Parekh. Chennaiyin FC is an Indian Super League football franchise based in Chennai, Tamil Nadu which began to play in October 2014 during the inaugural season of the Indian Super League. They are the 2015 champions of the Indian Super League. The franchise is owned by Vita Dani, Bollywood actor Abhishek Bachchan and Indian cricketer Mahendra Singh Dhoni. Mumbai City Football Club is an Indian Super League football franchise in Mumbai, Maharashtra, launched in August 2014 during the ISL's inaugural season. The team is co-owned by Bollywood actor Ranbir Kapoor, Kayque G. Saldanha and Bimal Parekh. Delhi Dynamos Football Club is an Indian Super League football franchise in Delhi that began play in October 2014 during the inaugural season of the Indian Super League.The team is owned and operated by Delhi-based DEN Networks. Bengaluru Bulls is a Kabaddi team based in Bangalore, Karnataka that plays in the Pro Kabaddi League. The team is currently led by Surjeet Narwal and coached by Randhir Singh. The team is owned by Kosmik Global Media. F.C. Internazionale Milano, commonly referred to as Internazionale or simply Inter, and colloquially known as Inter Milan outside of Italy, is a professional Italian football club based in Milan, Lombardy. 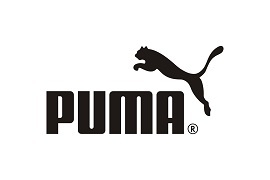 Puma SE, branded as PUMA, is a major German multinational company that designs and manufactures athletic and casual footwear and clothing, headquartered in Herzogenaurach, Bavaria. We make fun products, we do music festivals, we work with corporates when they want to do interesting work and lately we have been doing a lot of projects involving branding, communication, interiors, marketing all rolled into one. Lions Clubs International (LCI) is an International secular, non-political service organization founded by Melvin Jones in 1917. As of April 2015, it had over 46,000 local clubs and more than 1.4 million members in over 200 countries around the world. Yuwa, a nonprofit organization, aims to give young women in rural India the opportunity to gain confidence to make a change in their world. Goals for Girls connects girls from different countries and backgrounds with their peers around the world in a forum that addresses social and health challenges through cultural exchange and soccer. Coaches Across Continents is the world’s only development organization with a proven track record in using soccer as a vehicle for social change in developing communities. Sports Education Promotion Trust (SEPT) is an organization established for the development of football in the grassroots with a special focus on semi-urban, rural and tribal areas in the state of Kerala in India.